In a surprisingly under-reported story, one of Jerusalem’s chief rabbis, Rabbi Shlomo Amar issued a ruling on Monday that God must bring the messiah and expedite the ultimate redemption. The ruling was delivered during an all-night spiritual gathering of rabbis from the Chabad-Lubavitch movement and a recording of the moment was posted to YouTube (in Hebrew). In the days preceding the ruling by Amar, close to 6,000 rabbis and Jewish community leaders attended the annual Kinus Hashluchim (International Conference of Chabad-Lubavitch Emissaries) in Brooklyn, NY. The Chabad-Lubavitch movement has emissaries who serve the Jewish people in over 75 countries around the world. Each year, they gather in New York for their annual conference. After the official conference proceedings were concluded, Amar and others gathered at the Chabad-Lubavitch World Headquarters, also in Brooklyn, NY, for an informal farbrengen. A farbrengen is a get-together in the Chabad-Lubavitch world, where inspirational thoughts are shared and wordless spiritual tunes, called niggunim, are sung. Sweet foods, wine and other items are often served. During this spontaneous gathering, and no doubt influenced by the heady success of the conference that had just concluded, Rabbi Berel Lazar, one of Russia’s two chief rabbis, reminded Amar that 25 years ago, the Rebbe, Rabbi Menachem Mendel Schneerson, the last head of the Chabad-Lubavitch movement, who passed away in 1994, had asked Amar to issue a psak din (a formal rabbinic ruling) on the issue of the redemption of the Jewish people. Twenty five years later, at this gathering in the early morning hours of November 9, 2015, Amar agreed that the time had come to rule that God must hasten the arrival of the messiah. Despite the late hour, his statement was greeted with a hearty “Amen!” from the crowd. Immediately after, the crowd began singing “We want Moshiach now! We don’t want to wait!” These words come from a song that Lubavitch children are taught to sing from a very early age. Dr. Rivkah Lambert Adler is a Bible and Prophecy Watch reporter on Breaking Israel News. She made aliyah in 2010 from Baltimore, where her husband served as a synagogue rabbi. Rivkah and her husband currently live in Ma'ale Adumim, just east of Jerusalem. 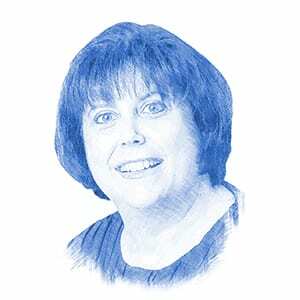 On September 11, 2001, she became passionate about the Land of Israel and the Final Redemption, about which she has been writing, speaking and teaching ever since. Rivkah is the editor of Ten From The Nations: Torah Awakening Among Non-Jews, available on Amazon and the coordinator of Torah School for the Nations which meets in Jerusalem. She has a Ph.D. from the University of Maryland. Did The Pope Just Evoke the Prophetic Alliance Between Esau and Ishmael Against Jerusalem?